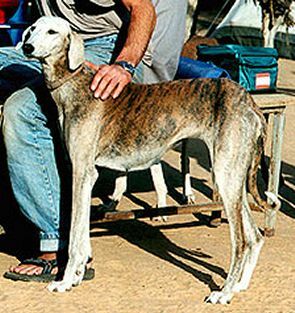 The much awaited P-Litter was born November 12th, 2001 when Nahalet whelped one brindled male I named Aytarel. The phenotypic "stamp" of each parent is clearly visible in Aytarel. 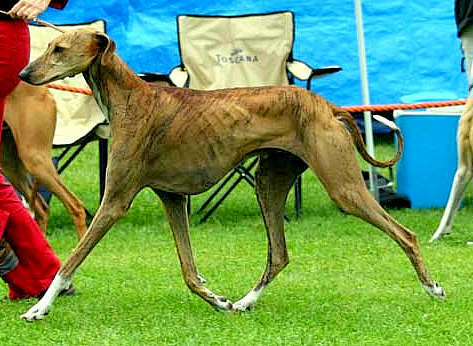 He very closely resembles his dam in color and markings and is also quite similar to her in basic type. 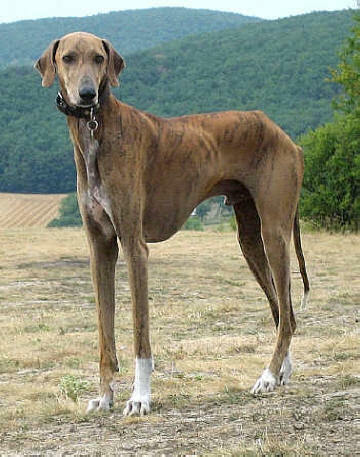 From his sire, Ennehet Al-Ifriqiya, he inherited long legs with very open angulations, as well as long, flat muscles, a very short loin, and a strongly vertical format. Both parents are of half African descent, meaning each has one parent that was imported directly from the Sahel. Aytarel's maternal grandsire is the Malian born Amanar, and his paternal grand-dam Hatshepsut was born in northernmost Burkina Faso, in the village of Tin Akoff. This fresh African "blood" enriches Aytarel's genetic make-up, and brings the potential for increased heterogeneity to the European gene pool. 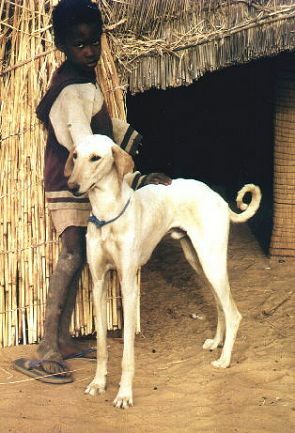 One interesting note: it is extremely unusual to know detailed information about the ancestry of the desert bred Azawakh. But Hatshepsut's ancestry is in fact well known (four documented generations), as she is a daughter of the well known Taikoussou. 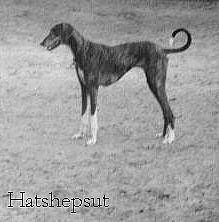 Hatshepsut was bred by Ayad ag Inachanan, a Burkina Fasoan of Pheul ethnicity. Ayad ag Inachanan, an esteemed Azawakh breeder in his own right, is also the official guide for the A.B.I.S. expeditions, a position he has held for many years. Below are photos of some of his ancestors. Aytarel lives with and is carefully handled and loved by Jana Vrbacka in Brno in the Czech Republic. He has done quite well in the showring and loves to course. So far Aytarel has already sired three litters. 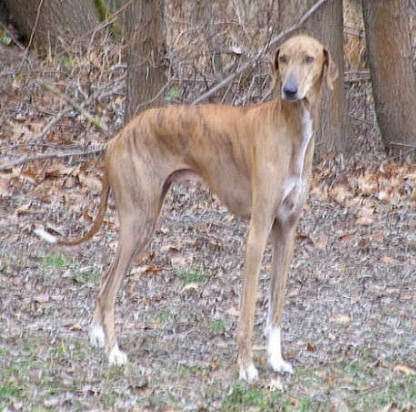 In 2004 he produced one son in the Czech kennel Faranda Bohemia and in 2005 a litter for Erika Toender/Ledcameroch Azawakhs in Scotland. 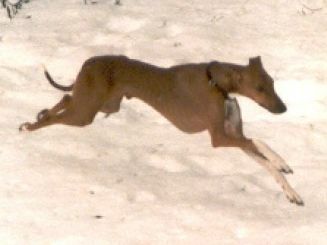 In summer 2007 he became father of two excellent puppies ( V - litter) by Taletmot Idiiyat es Sahel in my own kennel.